In this episode of Word and Work: An Intersection, Dr. Dale Meyer is joined by two distinguished professors from Lutherische Theologische Hochschule, Oberursel, Germany: Dr. Christian Neddens, professor of systematic theology, and Dr. Christoph Barnbrock, rector and professor of practical theology. Neddens and Barnbrock talk about the close ties between our two institutions, including the exchange program. Both professors describe the seminary process in Germany, the structure of the Church and the challenges and possibilities for the Gospel today. 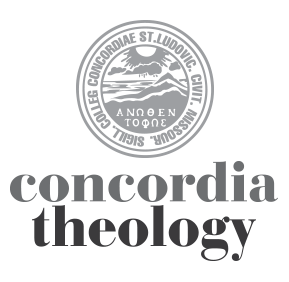 Rounding out the episode is a recording of Dr. Neddens’ recent sermon that he gave at Concordia Seminary’s Chapel of St. Timothy and St. Titus.